Unusual and complex, with a soft and creamy mouthfeel. Notes of ripe raspberry jam, black tea and nougat. Abiyot Boru (pronounced “Ab-yet bu-ru”) originates from the Shakiso District in the Guji zone of Ethiopia’s Southern Oromia State. Coffees from Guji were previously classified as ‘Sidamo’ (a very wide geographical classification encompassing much of central-south Ethiopia), however more recently they have been separated from this classification and recognised for their unique and distinctive cup profile. Coffees that are classified as ‘Gujis’ originate from the ‘Woreda’ (administrative regions) of Adoola Redi, Uraga, Kercha, Bule Hora and Shakiso (where this lot is from). This lot is classified as Grade 1, indicating that only superior quality coffee cherries from the Abiyot Boru Mill have been selected and processed. 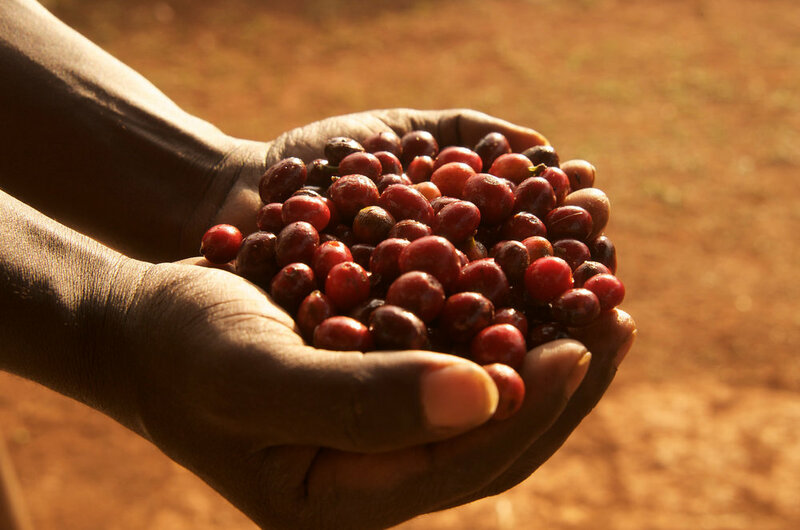 Ethiopia has one main annual coffee harvest across all growing regions, occurring from November to January. To ensure only the very ripest cherries are selected, at least four passes are made during harvesting. After the coffee cherries have been carefully handpicked, they are delivered on the same day to the Abiyot Boru Washing Station, where they are processed using the washed method. The coffee cherries are then hand-sorted to remove any damaged or unripe fruit prior to the removal of the skin of the cherries by a disc pulper. The resulting coffee is then graded by weight; heavier beans are more superior in quality and deliver a sweeter cup. After grading, the parchment-covered coffee is then soaked in tanks of clean water for 36-48 hours to remove the mucilage (sticky covering) by allowing it to ferment and detach from the coffee. The coffee is then re-washed and graded again by density in washing channels and then dried for 12– 15 days on African drying beds, first under cover, and subsequently under the sun. The coffee is covered at midday to protect from full sun and overnight to prevent damage from morning dew. 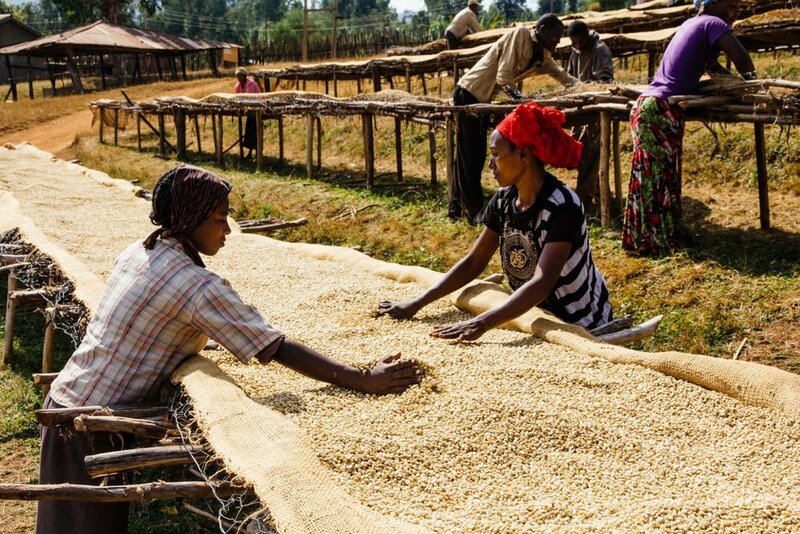 To ensure consistent drying results, during this stage the coffee is carefully hand-sorted and turned regularly, a task usually undertaken by women.